Choosing the perfect paint colors for your home can be overwhelming. Are the colors warm or cool? Are they current or outdated? Do they work with the undertones of your home’s furnishings and fixed elements such as flooring and counters? Stacey’s experience and her large sample sheets take the guesswork out of color selection. 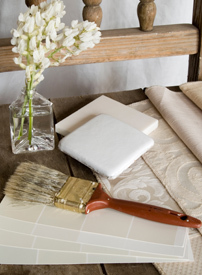 Do you need advice regarding furniture, accessories, window treatments, or kitchen and bathroom finishes? Would you like feedback on your decorating plans, or maybe just solutions for your home’s most challenging space? An in-home consultation is your time to share ideas, ask questions and gain confidence to turn your decorating vision into reality! 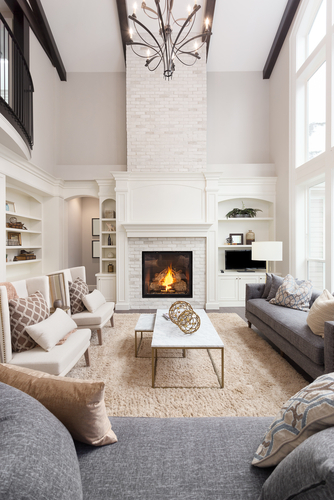 Are you starting with a blank slate, or do you just want assistance with the artful arrangement and proper placement of your existing furniture and accessories? Dramatic transformations are possible on any budget, and every project is a pleasure! During an initial in-home consultation, Stacey takes room measurements and photographs and talks with you about your decorating goals. Following the consultation, she works closely with you to create spaces that fit your home and lifestyle. Whether you need art and accessories for your entire home or just one striking area rug to anchor your dining room table, the Personal Décor Shopping service gives you a designer look without the designer price tag. Stacey purchases quality items at discount rates, and you pay what she pays. There are no merchandise markups!